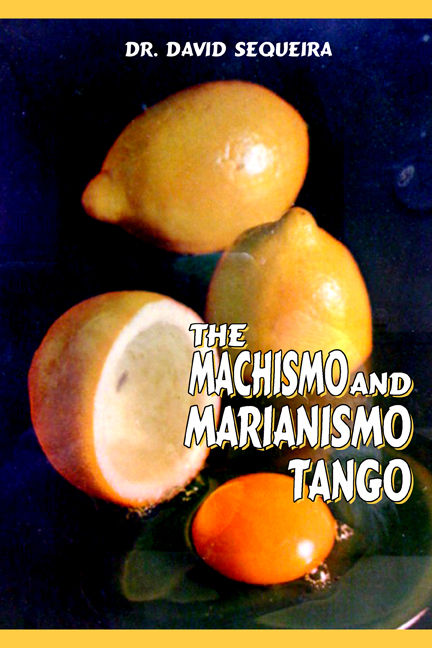 Our good friend, long time client and clinical psychologist Dr. David Sequeira recently published, The Machismo and Marianismo Tango, a dissertation that was originally accepted by his dean with the proviso that it not be published. Dr. Sequeira tells us, the dean, “did not like what I had written”. Click on the photo at right for a link to the publisher’s website. This entry was posted on Monday, August 17th, 2009 at 5:33 pm	and is filed under Client Happenings. You can follow any responses to this entry through the RSS 2.0 feed. Both comments and pings are currently closed.